Home iPhone5 News Rumors Rumours Latest iPhone 5 News - A Liquid Metal Body? 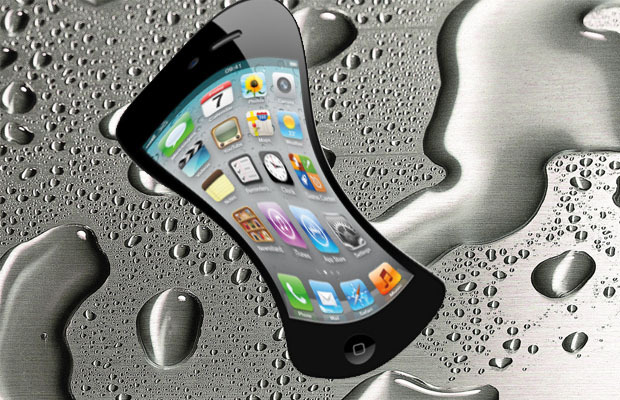 Latest iPhone 5 News - A Liquid Metal Body? Since the release of the new iPad, which is successfully retailing across the world, the focus of rumors has moved to the next release by Apple – an iPhone 5. With intensive speculations about the body, appearance, specs and abilities of the next gen iPhone, the recent reports have now something quite different to share, drastically exceptional from what has already been communicated. According to the latest reports the upcoming iPhone will finally deviate from the iPhone 4 / 4S glass form factor, utilizing liquid metal instead. This assumption took start from the fact that Apple has purchased the IP rights to the liquid metal technology several years ago and yet has not used it in anything other than fiddly SIM card ejector tool production. Industry sources also cite that similarly to its competitors, Apple will ditch the respective materials used the current flagship devices. So it turns out that we should expect iPhone 5 to be thin, light and highly resistant to external impacts- rendering the report, and the liquid metal is likely to consist of zirconium, titanium, nickel and copper. This new composition will guarantee to minimize scratches and corrosion, while manufacturing the mixture is said to be a lot easier too. The new metal is considered to be as strong as titanium, but much lighter, so if Apple takes a move towards liquid metal won’t be a surprise. One more thing to note is that according to the latest reports the next iPhone will be introduced at WWDC a couple of months away from now. However, we still think that it will be in October, when Apple finally demonstrates its mysterious gadget, just like it happened in case of iPhone 4S.